Who says nobody develops for Windows Mobile anymore? Leaked in February only to be yanked, and then announced at CTIA in parallel with the launch of the HD2 on T-Mobile; Slacker Radio brings one of the more robust streaming radio empires to the Windows Phone platform. Slacker Radio is a service designed to bring you a variety of content for little or no cost. In a world where 3G networks and high-powered mobile devices are becoming commonplace; Slacker and similar services have a solid foundation on which to expand their empire. 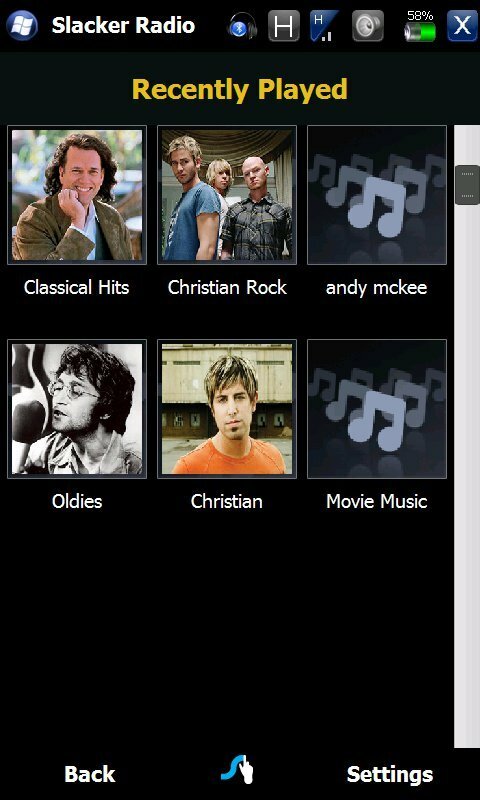 To get a look at what you can find in Slacker Radio for Windows Mobile, keep reading. The stations that are offered through Slacker cover everything from Jazz to Seasonal to Big Band and Latin. Stations are created by professional DJs, which theoretically provides you with a fairly consistent station. Different flavors within each Genre give you a little bit of extra choice when deciding what to listen to. As with any radio station Slacker must license the Music that gets streamed; Slacker supports this by playing ads periodically for customers using the free service, and by charging for service upgrades. 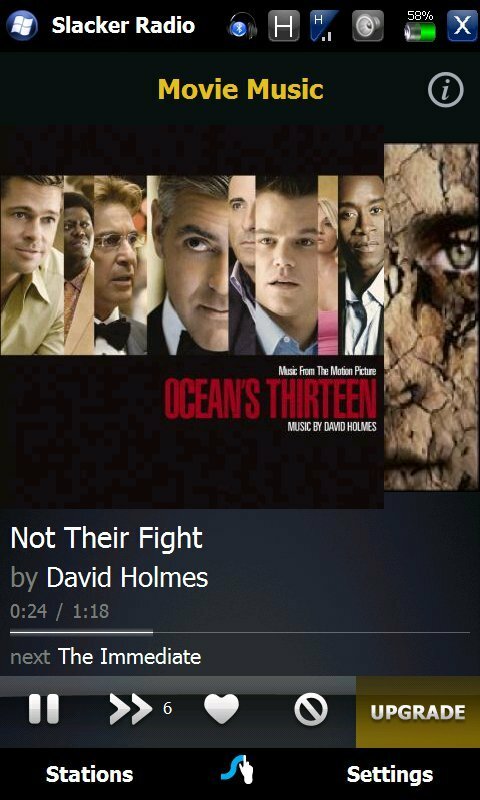 Custom stations are also supported, though there doesn’t appear to be a method of creating them from your device. When using the web interface custom stations can be built by searching for an artist or particular song and then fine tuning it if you desire. 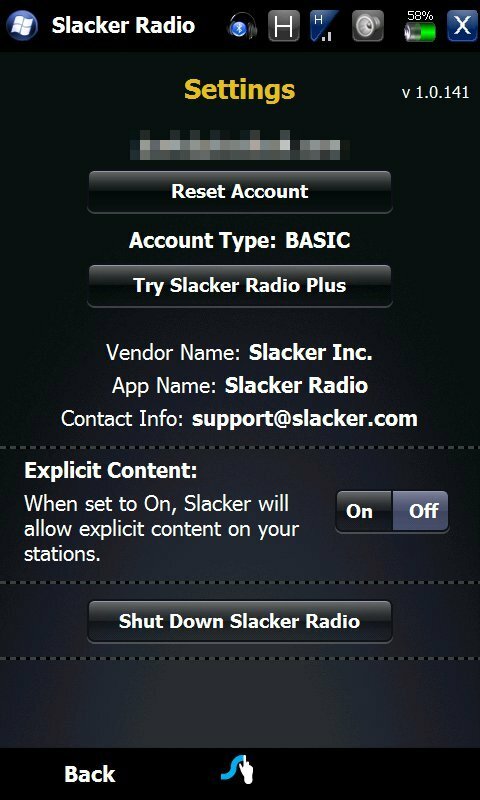 Aside from simply streaming audio, Slacker has some interesting features that you wouldn’t normally find on your typical radio. Tracks can be played, paused or skipped (free users are limited to around 6 skips every hour); also you can view information about the artist and album, including lyrics for the current track (free users only get partial lyrics, plus users get the complete song). 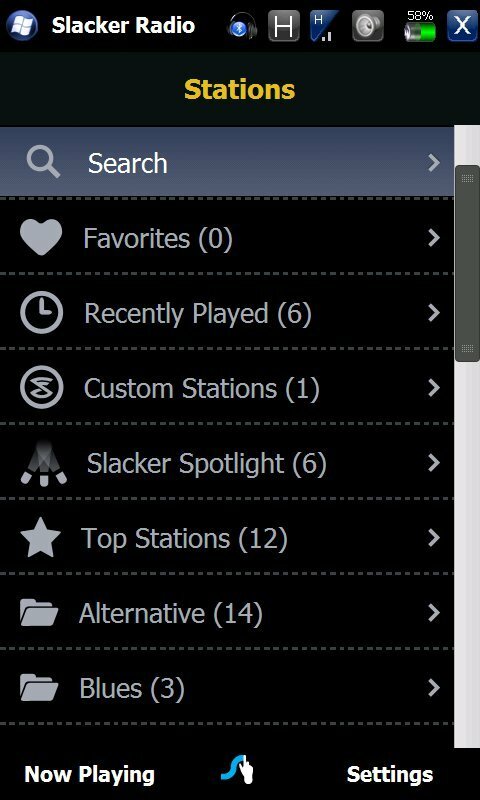 Slacker Radio Plus gives you the additional benefits of not having to put up with audio or graphical ads, an unlimited number of skips, complete lyrics and a number of other additional functions that are available when using the web based player. The cost for the Plus service is $4.99 per month on a monthly basis or $3.99 per month when billed annually (one payment of $47.88). Slacker is one of an elite few that offer this type of service. Being able to listen to music by Genre is your classic radio scenario, but having the ability to fine tune a station to your likes and dislikes really harnesses the power of technology. Having a native app for Windows Phones that does a good job of supporting a large portion of the current hardware really seals the deal for me one which service to use. I don’t know that I personally would pay for the Plus service, but I can definitely see why others might. As far as I’m concerned, there isn’t a down side to installing and using this app, even if it is just for occasional use.